3.9 out of 5 based on 65 bloggers and 8 commenters. 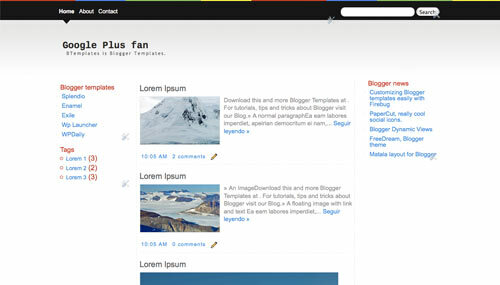 Google Plus fan is a free blogger template with 3 columns, left and right sidebars, web 2.0 design, an exclusive design for Blogger, footer columns, simple look and gradients. wow this is simple and great.